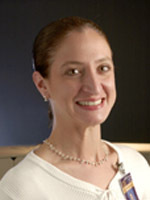 Mary Breslin, PhD, earned her PhD in Biochemistry and Molecular Biology from LSU Health Sciences Center – New Orleans in 1999. She is an Assistant Professor in the Department of Pediatrics at Children’s Hospital in New Orleans, where she is an active member of the Research Institute for Children. At the LSU Health Sciences Center, she is an Assistant Professor of Pediatrics. Her research interests include insulinoma associate-1 (IA-1) gene expression in small cell lung cancer, the zinc finger transcriptional repressor protein, and developing a vaccine against gastric cancer.